A couple of weeks ago I attended the Institutional Web Management Workshop for the first time. TERMINALFOUR has been attending and co-sponsoring the event for many years now, but I was delighted to be given the opportunity to go and meet some of the people I get to work with every day. This year’s theme was Understanding Users; Managing Change; Delivering Services, and the event was largely made of talks provided by representatives of web teams from universities across the UK. TERMINALFOUR focuses on the higher education industry, and as a Client Support Engineer I felt it was important and hugely beneficial for me to get a direct insight into the inner workings of universities’ web teams. I feel that, in order to ensure my team can provide quality support, it’s good to be familiar with the challenges and opportunities that face web teams: once we have an idea of how they are operating right now, we can do what we can to help make their jobs a little easier. Aside from the plenary talks throughout the event, IWMW was punctuated with many excellent masterclasses and workshops. One that I particularly enjoyed was entitled Writing for the Web, and it explored how to write quality content that performs well. When writing content it’s important to put yourself in the shoes of your audience reader. This means that you should not write for yourself or your boss, but for the person who is visiting your university’s website: keep the text clear and simple, cut out the jargon, don’t keep repeating certain phrases (e.g. “At the University…”), and remember that content is there for a reason and has a job to do. Of course, it wasn’t all talks and classes. The great thing about IWMW – which several people have said to me previously, and which I experienced immediately when I arrived – is that it’s very much a social event. I have no doubt that IWMW has helped to forge friendships over the years, and it shows: despite being separated by possibly hundreds of kilometres across lots of universities, members of web teams greeted each other like the best of friends. For me, it was great to get to chat to people face-to-face, people I’d normally speak to online or over the phone, and talk about anything and everything. People caught up with each other during coffee breaks and after each days’ events we’d make our way to a local pub for a few quiet ones to wind down the evening. This year’s location for IWMW was also fantastic. I had never been to Liverpool before, and I took the opportunity to explore some of the city and wander around the various museums at the docks, taking in the great weather and tasting some great local fish and chips. 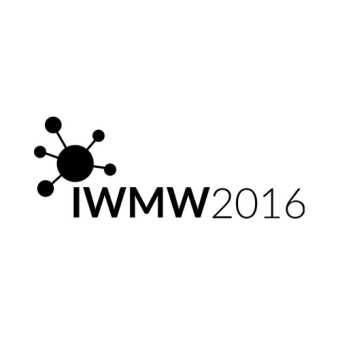 IWMW 2016 was a fantastic experience for me and I look forward to going again. I’ve learned so much about the higher education industry and the challenges in front of university webteams, and it’s something I’d thoroughly recommend people in the higher education industry think about attending.